With 26 attorneys, Decker Jones, P.C. 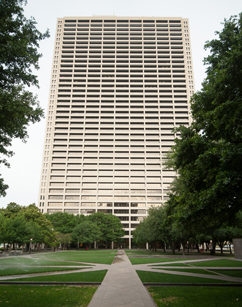 is the 7th Largest Tarrant County Law Firm according the Fort Worth Business Press. With 10 practice areas and 5 attorneys who are board certified in their specialties, Decker Jones, PC has been serving local Fort Worth businesses and individuals for almost 120 years. Although Decker Jones, P.C.’s offices are only based in Fort Worth, we have attorneys licensed to practice law in North Dakota, Oklahoma and Kansas as well.